Lawyer for Canadian cryptocurrency company QuadrigaCX says as much as $250 million Cdn of users' money may be 'floating around out there' after the company's CEO was reported to have died suddenly. One of Canada's largest cryptocurrency exchanges has been granted an order for creditor protection in Nova Scotia Supreme Court, following the reported sudden death of its 30-year-old founder, Gerald Cotten. 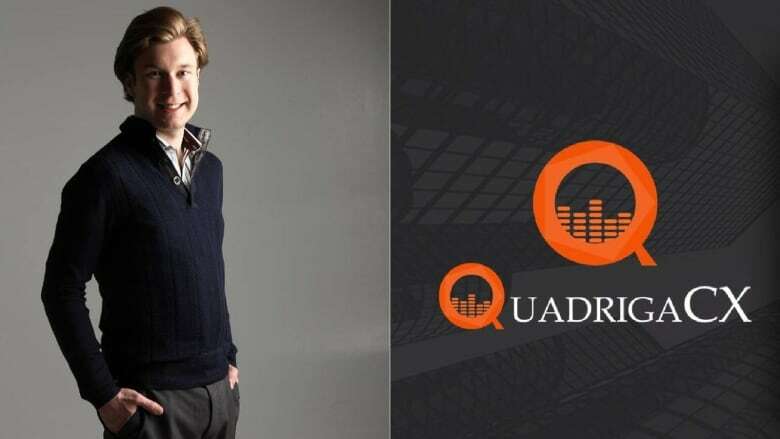 Justice Michael Wood gave QuadrigaCX a 30-day stay of proceedings in a bid to stop any lawsuits from proceeding against the company at this point. The company's lawyer, Maurice Chiasson, told the court QuadrigaCX wants time to search for roughly $250 million Cdn in assets left inaccessible after Cotten's death. His widow said he died suddenly in India due to complications from Crohn's disease on Dec. 9 while opening an orphanage. The couple owned a home outside Halifax. The death of the company's CEO and sole director has left roughly 115,000 users without their funds. Lawyers for some of the affected users were in the Halifax court today. QuadrigaCX employees say the only way to access much of the cash was lost when Cotten died. Cotten was apparently the only person with the recovery code to access the currency held in secure "cold wallets" — where the company kept much of its customers' money. "With a cold storage wallet, it's completely offline. It's not connected to the servers or the infrastructure set up by the exchange. It's usually a physical device that you would plug into a computer and requires a button to be pressed and it might need a password," QuadrigaCX customer Elvis Cavalic told CBC's As It Happens. It appears the way to access the cold wallets was not left behind with Cotten's wife, the executor of his estate, Cavalic said. If the money was in a cold wallet, it could be gone forever, said Nikhilesh De, a reporter for CoinDesk, a publication that covers digital currencies. "The idea behind cold storage is that they're inaccessible unless you have the appropriate keys and the access and coins have been lost in the past," said De. "There will only be a finite number of bitcoins ever issued, and any bitcoins that are lost are lost forever." Cotten's encrypted laptop will be given to lawyers acting for the creditors and will be eventually given to a court-appointed monitor. Lawyers for QuadrigaCX said in court on Tuesday they are considering a possible sale of the company to satisfy debts. CBC reporter Jack Julian live blogged from the courtroom Tuesday. Not seeing the tweets on mobile? Click here. A previous version of this story reported that, according to Nova Scotia RCMP, the RCMP's Toronto West detachment was investigating QuadrigaCX. A lawyer for QuadrigaCX has shared heavily redacted correspondence from the RCMP's Toronto West financial crime department that indicates QuadrigaCX is not a suspect in their investigation into an alleged case involving a CRA telemarketing scam. QuadrigaCX is the subject of a production order in that case, not a suspect. This version of the story has been corrected.